Q. I'm an artist and have no idea what In-Venue music means ? A. You experience in-venue music by simply walking into almost every retail store or business or leisure space that plays music. Music, videos and other various multimedia are broadcast within commercial environments to provide a certain ambience for customers. For certain retailers, studies show that playing the right music can increase their sales by up to 50% and music plays an important part in creating the right ambience. Q. If I am an artist who has recorded tracks, can I send them to you for distributing to your network? If I am a label or publisher how do I work with Rhiza Music? Q. Why should I make my music available for In-Venue music? A. In-venue music providers enable artists, music labels, publishers and content owners to increase revenues while promoting their bands and artists and garnering extra sales, via music discovery platforms such as Shazam, through this add-on distribution service. It’s just another way to increase your audience base, engage new fans, earn new royalties, and round out your complete distribution portfolio. Q. Why can’t I just submit my music to cafes, bars, stores ? But building respected and trusted relationships with in-venue music providers, delivering assets and quality control checks plus tracking all royalties due for airplay are a full-time job. Through the years, Rhiza has developed those relationships and systems. This allows you to do what you do best: creating, marketing and distributing your music. Q. How will my music be distributed and played? i). Via fully licensed digital jukeboxes – these are sophisticated, wall mounted ‘touch screen’ boxes which offer the browser a full range of music. 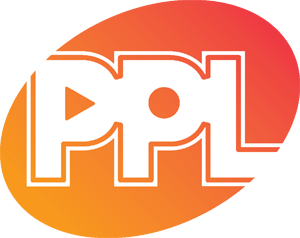 Our priority is to offer music to our ever-growing and in demand, “Breaking Bands” & “Up & Coming” channels on the players where listeners have the chance to discover new music. ii). Via fully licensed digital background music systems used by a wide selection of venues, retail, stores, hospitality as a means to provide "on brand" music for their customers to enjoy. iii) Via our "Breaking Bands Channel" on fully licensed in-flight entertainment systems. Q. Am I entitled to any public performance income from the jukebox & background music systems? A. 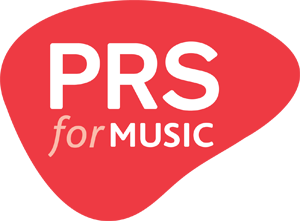 If you are the artist or a performer on the recordings, you will be entitled to collect 100% of the performers share of PPL or PRS For Music or territory equivalent royalties generated via public performance. Q. I’m an artist - should I become a member of a collection society if my music is distributed by Rhiza Music? A. Yes you should ideally become a member to ensure you receive your performers share of public performance royalties. It’s free to join PPL so there’s no excuse! There’s a link at the bottom of our website to take you directly to the UK collection societies performer membership details. Q. If I’m an artist and rights owner, does delivery of my music to in-venue affect any of my rights in my recordings? A. In no way does working with Rhiza affect your rights. Think of us as an add-on music distribution and promotional service to your full distribution portfolio. We provide an opportunity to get your music placed on a wide variety of new radio style playlists.